My first year as an professional organic gardener wasn’t always easy. My mind was full of all this incredible information I had learned studying organic gardening the previous year, but I didn’t yet have the experience, especially with more advanced things like soil nutrient testing and fixing problem lawns. I had plenty of experience as more of a conventional gardener, but that is quite different. Now I had (and wanted) to do things without any chemicals. This worked well most of the time, but when the client’s soil was highly imbalanced, weeds and pests proliferated and I didn’t have all the tools to fix it. I had one lawn especially that I agonized over. It was full of weeds. Despite the fact I assured her some of them were edible and rather nutritious, the client didn’t like them. She was very kind, but she asked regularly how I was going to get rid of those weeds organically. It stressed me out. I eventually enticed my sister to help me spend hours pulling the weeds. Luckily it was a small lawn. I eventually figured out that I needed to do some soil nutrient testing to determine what was wrong, and then add the appropriate mineral fertilizers to balance it out. Of course that doesn’t get rid of weeds right away – it takes years. But that’s the sustainable, long-term solution. An aside for the gardeners and landscapers out there: Other than soil testing, the most important thing I learned that year is to set realistic expectations up front. Let your prospective clients know that it can take a few years to get rid of weeds and pests because it’s a lengthy process to fix the soil. If they understand that and still hire you, it takes so much pressure off. You can sleep at night. Back to soil nutrient testing. Did I always have to do this? No. Many gardens were happy enough with just compost along with something else I had to teach clients, proper watering. Do You Have To Soil Test? Option 1. You can start by focusing on creating or buying good compost and incorporating that into your soil. Increasing the organic matter content and microbial diversity of your soil are often your two most important steps, so it makes sense to do on them first. Accomplishing these goals addresses many other issues in your garden, too. Then if you notice after a few years that you still have pests, or you really want to get rid of the weeds in your lawn, or you think you could be getting bigger, healthier yields of food, you can go ahead and pay for soil nutrient testing and then supplement the lacking nutrients. It’s best to incorporate these fertilizers into the soil along with my compost when I’m building a new bed. It gets much more difficult when I have plants already in there. It takes years to get the full benefits of many of these fertilizers, so I don’t want to wait. Kind of like how the best time to plant a tree is 10 years ago. I’m trying to grow supercalifragilistic nutrient-dense food, and for that, I need balanced soil so all members of the soil food web have what they need. The reason I tell you that you don’t have to do soil nutrient testing is because many people have grown perfectly pleasant gardens with just compost and mulch. The only times you need soil tests and specific mineral fertilizers are when your soil happens to be especially out of whack, or when you’re pursuing nutrient-density and big yields. Great post again Phil, I’m planning to finally test my soil this year after a few years of having only moderate success in the garden. I have a question for you, I made some really nice raised beds for my garden, and had deliver a combo of organic fertilizer, mushroom compost, and forest humus, I then mixed basically 50’50 with some sandy/ clay dirt, with a basic soil prong tester reads very high in acid like a 3-4, what do you recommend? I recommend shipping 2 cups of the soil mix to an organic soil lab. They will give you recommendations for which nutrients are lacking (causing the low pH) and which fertilizers to add to correct it. It’s the only way to know what’s going on. Good luck! Peat will make say 6.9 drop to say 6.6. Call mag or lime will say take 7 or 6.6 and raise it to say 7.5 …I buy ph up or down,mix with water and always test lawn looks great. It is backwards! Don’t be confused with the pH scale although it seems counter intuitive at first. Lower numbers mean higher acidity and higher pH measurements mean lower acidity. Lime of any type will raise your pH and lower your acidity. Coffee grounds lower the pH and raise the acidity. Lime will usually (although not always) raise your pH, but that doesn’t mean it’s always the right product to use for this purpose. Coffee grounds usually doesn’t lower pH – they’re fairly neutral. We had a soil test and came up with a ph of 5.7. They suggested using lime but we have small dogs and I read it can be harmful to them?? Our grass and plants look good. what shall we do instead of the lime? I’ve never seen dogs have issues with lime. It’s just limestone ground up into a powder or granule. So what type of lime shall I use. I thought it was the granules we need to put in the lawn? A powder is faster acting, so more often recommended, but granules will work just fine. Calcium carbonate (aka calcitic lime or ag lime) is the type of lime to look for. I sell it here ( https://www.smilinggardener.com/sale/mineral-fertilizers/ ), but if you’re doing a whole lawn, it’s generally too expensive to buy online, so you’ll want to try to find it locally. If your soil needs magnesium and calcium, you can use dolomite lime, but more often, it’s just the calcium that’s needed, which is where the calcitic lime is used. Please – Does iron in spear point water lock up soil nutrients? I have a Wertz avocado tree, was doing so well with say 40 fruit half developed – then fruit fell off and leaves browned half way from tips and many fell off. Beside that tree I have more recently planted a fig and immediately its leaves withered/wrinkled/curled up at the tips – not from lack of water? What is going on with my soil? Could it be the spear point watering? I’m not sure of the answer to this. I would be surprised if there would be enough iron in the water to cause that extreme of an excess. I encourage you to get your soil tested – and some leaves too – by a good lab. I have to disagree with some of the statements about not using dolomite. I had my soil tested at the county extension office and a university suggested using over a ton of lime, this may take 2-3 years to apply that much because its very acidic. 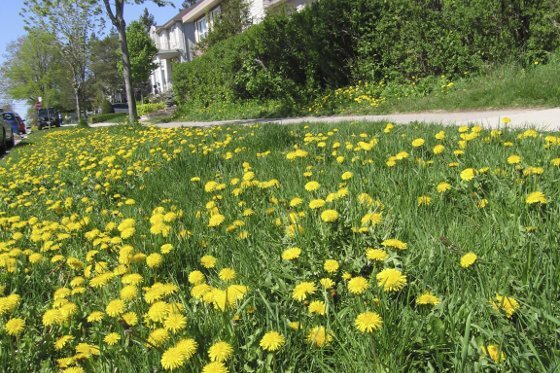 Having low levels of calcium are the reason its a weed patch and not a desirable lawn. The only lime available in bags is Dolomite and when I used this product on a different property, the grass looks much better than the neighbors who do nothing for lawncare. The reason I need to use lime is because of a calcium deficiency and nutrient lockout, the clay soil here is already hard as stone and I really don’t believe Mg leads to soil compaction unless someone is using excessive amounts of Epsom salt because the gardening community says its a miracle product.